'MOLIX' IS ANOTHER FOOTBALL SHAPED FRUIT NATIVE TO MEXICO. THIS FRUIT IS SIMILAR TO HASYA IN MANY WAYS, BUT IT TENDS TO BE DARKER BROWN OUTSIDE, LESS RED INSIDE, AND THE TREE HAS CURLY LEAVES. 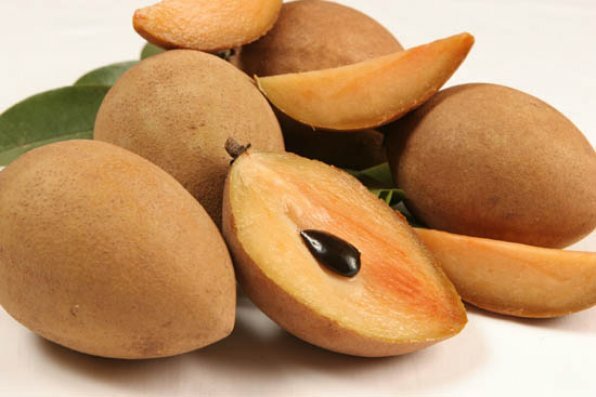 THE PULP IS EXCEPTIONALLY SWEET, WITH A FINE PEAR-LIKE TEXTURE AND PLEASANT AROMA. THE FRUIT ARE LARGE, TYPICALLY WEIGHING THIRTEEN OUNCES. THE SEASON DIFFERS SLIGHTLY FROM THAT OF HASYA, BEGINNING IN FEBRUARY AND ENDING IN MAY.